If you are already enrolled in the Parent Portal OR you have received a welcome letter from the school you can proceed to the Portal website. If you aren’t enrolled, please fill out this Google form. Please note, we manually verify requests made via this process so it could take some time to get a response. If you can not access your account after you have enrolled, send us an email and ask for assistance. What we are finding is some services, especially Yahoo and Yahoo based email platforms such as sbcglobal and att.net addresses, are prone to identifying our enrollment notification messages as SPAM. 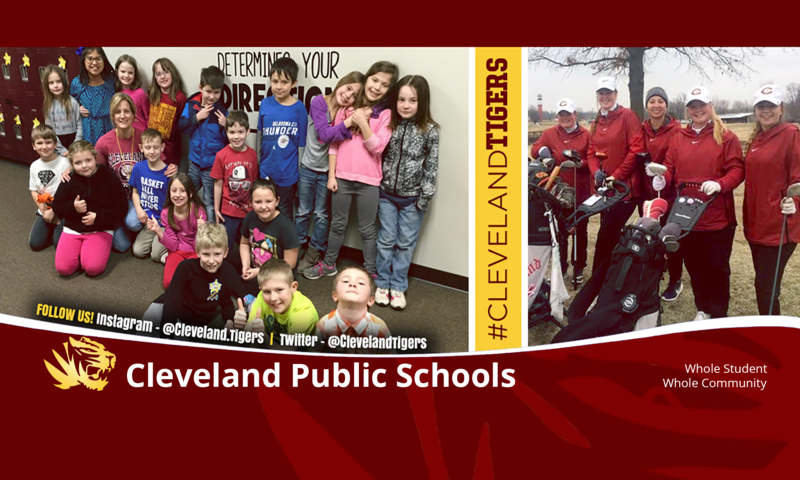 Be sure to look wherever your service puts spam messages for an email from a-team@clevelandtigers.com. The subject line is “Parent Portal Enrollment” As a preventative measure, you might “White List” a-team@clevelandtigers.com so messages from this address can skip the spam filter. Be sure to set a bookmark for this page for convenience. The password you gave me will be too hard to remember. Can I change it? Will I need to re-enroll at the beginning of next school year to continue to use this service? Not at all. Your enrollment in the program will not change unless it is requested or you no longer have a student enrolled. Even if you leave the district for awhile and then come back, as long as you let us know you are re-enrolling, your old username and password should still work! Will this service work on my cell phone? No. It’s just a website and it should open in any modern browser on any device. Can I transfer money to my student’s lunch account with this app? We are happy to say the answer to this is yes! There is a link in the “Current Balance” line where you can send a payment to us via PayPal. Note: There will be a two dollar service charge on each payment we process. PayPal charges us a fee every time they process a payment on our behalf and we are unable to absorb the cost of these transactions.You do not need to set up a PayPal account if you don’t want to. PayPal will process a standard credit or debit card on our behalf as well. A full PayPal account can make it more convenient to make payments because it decreases the number of lines to fill out which is especially helpful when using mobile devices.We still accept cash and checks at the register. Do I need a username and password for each kid I have enrolled? No. One username and password should allow you to see all of your enrolled students regardless of grade level. If you don’t see one of your students when you log in, please let us know and we will work with you to correct the issue. After I log into the system, I don’t see my student. What do I do? The best thing to do to start with is to send an email to the address on the right of this screen with enough information to look into the problem. Full names of both you and the student, as well as the student’s grade, would be a minimum amount of information we could start with. Is there training available to learn some of the cool things this service can do? Yes there is. Once you log in to the system you can find a training video link in the upper left hand corner of the screen. My student turned in an assignment today. Why is there not a grade for it in the portal yet? Assigning grades to completed work takes time. After an assignment is turned in it may take a day or three for the teacher to get the grade put into the system. When I try to access the site from my house on my older computer running Windows XP, I have “issues”. Windows XP is no longer supported by Microsoft so newer versions of Internet Explorer are not being made available to run on it. Your best bet for a free solution is to download and use Google Chrome or Mozilla Firefox as your web browser. I’m Divorced. Will my ex be able to have access as well? Yes and No. Where the court has spoken, we will listen. If the non-custodial parent still has court protected rights to the student then the answer is Yes. If those rights have been revoked by the court for any reason then the answer is no. If you have questions or need support after you have enrolled please send us an email. Be sure to use the contact information you used when you enrolled. If we can not verify your information we will not respond.